Member for Monaro John Barilaro has a fight on his hands in the NSW election. File photo. Election promises are flowing from all quarters as the NSW Coalition government shores up their chances in what could be a potentially close call for the Berejiklian government and for deputy premier and Member for Monaro John Barilaro. So who is promising what to Monaro residents, and why? Monaro is very much in play with a margin of 2.5 per cent. 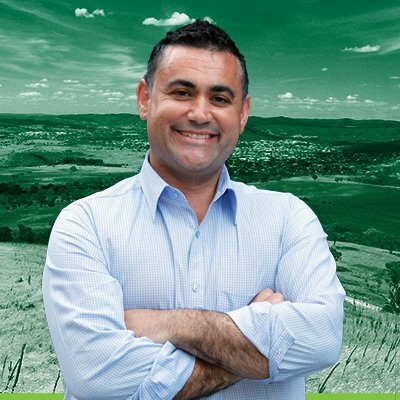 In a difficult election for the Coalition, much has been made of the fact that Mr Barilaro’s home page makes no reference to the National Party. There’s considerable overlap with the ALP-held Federal seat of Eden Monaro and Mr Barilaro frankly acknowledges that he has a fight ahead of him. The electorate covers Queanbeyan, Cooma and the Snowy Mountains and Queanbeyan-Palerang council areas. Blending remote areas and larger population centres, it has the state’s highest proportion of workers in public administration and safety at 21.3 per cent, reflecting proximity to Canberra. The Nationals vote is strongest in the south, while Labor predominates in Queanbeyan. Other candidates included Mick Holton (Shooters, Fishers & Farmers), Peter Marshall (Greens), Frankie Seymour (Animal Justice), Andrew Thaler (Independent) and Bryce Wilson (Country Labor). Mr Barilaro has committed $2 million to create tourism experiences highlighting the famous faces of Queanbeyan through interactive displays, $1 million for Cooma’s CBD, $1 million to complement the $473,897 Cooma Creek pathway upgrade, $110,000 for the Lighten the Snowy safety lighting project and $750,000 for the Googong Anglican School. There’s funding to manage deer numbers and eradicate noxious hawkweed in Kosciuszko National Park and the sod turning for the new Braidwood Multi-purpose Centre. Mr Barilaro is promising 203 extra staff to the Southern NSW Local Health District and the final $200,000 towards a playground in Braidwood. Country Labor Candidate Bryce Wilson has also been on the road. The Jerrabombera science teacher is promising downward pressure on electricity prices by re-regulating the network and more nurses for local hospitals at Cooma and Queanbeyan. Labor would move to 50 per cent renewable energy by 2030, introducing NSW’s first renewable energy target. Mr Wilson has campaigned against privatisation of NSW hospitals, public transport and water and no further electricity privatisation. Campaign promises likely to affect Monaro voters include increased support for students with disabilities and specific learning needs and expanding the eligibility distances for access to the Assisted School Travel Program. Free TAFE courses will be accessible for school leavers, people re-skilling, or changing careers, and there will be an additional $60.5 million for libraries. Specific local promises include restoring resources to the National Parks and Wildlife Service, repairing mountain catchments and establishing a Kosciuszko works crew to halt and repair erosion. Labor is also promising to take action on pest species, including pigs, deer, dogs and horses. There will be more resources for fertility control programs and rehoming feral horses and the ban on aerial culling will be maintained. There are also promises for $1.8 million upgrades at Karabar basketball courts; $750,000 for Wright Park in Queanbeyan; a new preschool at Queanbeyan TAFE; 48 more police officers in Monaro; $1 million funding for Maybe Street in Bombala; building Dunns Creek Road; establishing RecFish NSW, an independent fishers body; $50 million for feral plant control; a treaty process for reconciliation; the full $23.6 million redevelopment at Cooma Hospital; $32.5 million for Landcare, Bushcare and Rivercare groups and a special unit to assist co-operatives in NSW. Both Liberal and Labor have committed to building a high school and ambulance station in Bungendore, and both have committed to upgrades for Braidwood’s antiquated pool. While Optional Preferential voting in NSW means you do not have to number every box, Mr Marshall says that beyond first and second preferences, there’s likely to be little benefit in Monaro. Greens NSW will announce its preference recommendation for the Legislative Council (Upper House) later this week. Mick Horton from the Shooters Fishers and Farmers Party is running on a platform of fixing country roads, legislating drought as a natural disaster, holding both major parties to account, tax concessions for rural areas and reducing red tape for small business. Meet the Candidates Forum, Hosted by Braidwood Community Association, – chaired by Paul Cockram. Friday 15 March from 7 pm at the National Theatre. "Money can't buy my love". I think an article on what was promised last election and what was delivered would be worthwhile. I’m an ACT resident these days, so I can’t vote on this, but I just wanted to leave this here.